Mr. Roland H. Johnson was born January 26, 1940 and departed this earthly life on January 26, 2019. He was the third child of the late Mr. Leanue (Teet) Johnson and Mrs. Mamie Johnson. 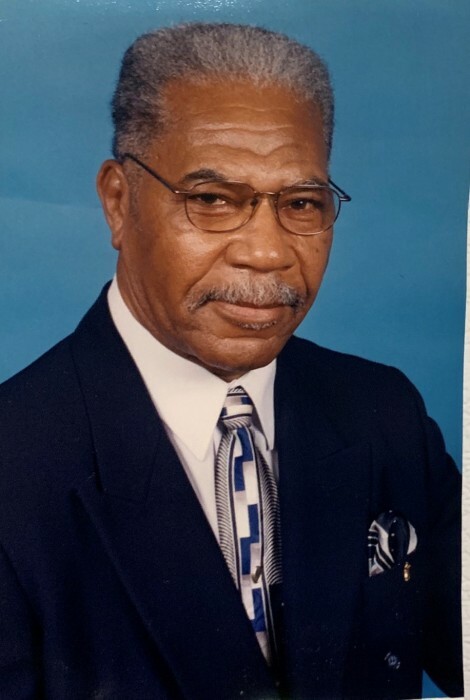 He attended William’s Chapel school and graduated from Palmetto High School in Mullins, South Carolina graduating in the class of 1959. Roland attended vocational school in Dillon, South Carolina. He worked in Dillon, Florence, and Marion counties. His last place of employment was in Nichols in maintenance and the street department. His favorite songs were hold to God’s unchanging hands and I have decided to follow Jesus. Roland leaves to cherish fond memories by his devoted wife of 44 years Mrs. Tommie Jean Johnson, his daughter Wanda Campbell, sons Brian Johnson of Florence SC and Javarrus Johnson of Marion South Carolina; 4 sisters Mrs. Tommesina Floyd of Nichols, SC, Ms. Margie Laurence of Albans, NY, Mrs. Nellie (Leroy) Smith of Newark, NJ, and Ms. Gloria Page of Nichols, SC. 4 brothers; Mr. Leonzia (Lamb) Johnson and Willie Page both of Nichols, SC, Mr. Allen (Marverne) Page of Mullins, SC, Mr. Don (Ophelia) Page of Irvington, NJ, 9 grandchildren, Pastor Betty Reaves (Godmother), and many nieces, nephews, family and friends. In tears we say you sinking and watched you fade away, Our hearts were almost broken, we wanted you to stay. But, when we saw you sleeping so peaceful and free from pain, How could we wish you back with us, to suffer that again. It broke our hearts to lose you, but you did not go alone, For part of us went with you, the day God took you home.